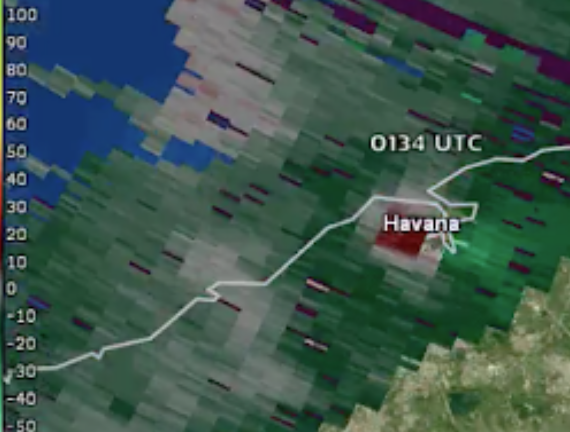 The eastern part of the City of Havana was hit by a tornado, likely of at least EF-3 intensity, during the night. According to the Toronto Star, at least 3 were killed and 174 injured. 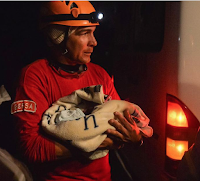 Firefighter carries a baby out of the rubble. I don't know what, if any, warning was available from the Cuban Meteorological Service. 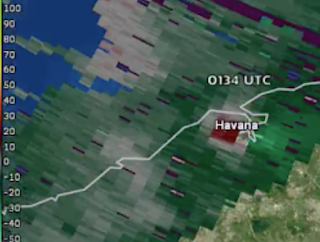 The tornado was clearly visible on the NWS's Key West radar. On Twitter, @kudrios has the radar data and other meteorological data. 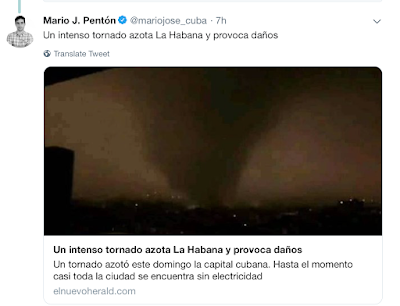 Addition: The tornado occurred at approximately 8:34pm EST. 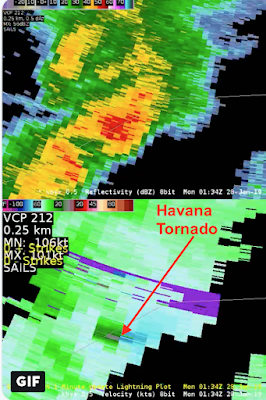 The Key West reflectivity and Doppler velocity data are below. Below is a second view of the velocity data for the Havana tornado at the same time as immediately above. It is uses a better differentiated color scheme.